The Body Attack Lipo 100 Thermogenic Fat Burner is regarded as the No. 1 fat burner and contains only selected ingredients. One of the most popular "thermogenic fat burners" worldwide! Contains selected ingredients for best effectiveness; among those being a variety of traditional plant extracts! "Multi Phase Technology" for a time release effect! New improved formula containing caffeine, choline, zinc and B vitamins. Product of the "Cologne List"! Recommended intake: Take 6 capsules with 200ml of liquid approx. 60 minutes before the workout. On non-training days, take 3 x 2 capsules (two with each of the main meals). Do not exceed the recommended daily dose! 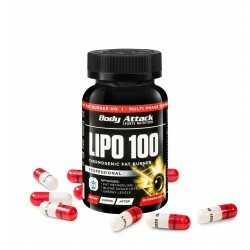 Body Attack Lipo 100 - the most popular thermogenic fat burner with an improved formula! The Body Attack Lipo 100 Thermogenic Fat Burner is regarded as the No. 1 fat burner and contains only selected ingredients. The formula of this renowned fat burner has been improved yet again, so that fat is burnt even more effectively than before in the weight loss phase. Caffeine, choline, zinc and B vitamins speed up the fat and energy metabolism. The Body Attack Lipo 100 Thermogenic Fat Burner is perfect for all those who want to lose a few kilos in combination with exercise and a diet; for all those who want to shed a lot of weight permanently, and for all of those aiming to define their muscles a little more. 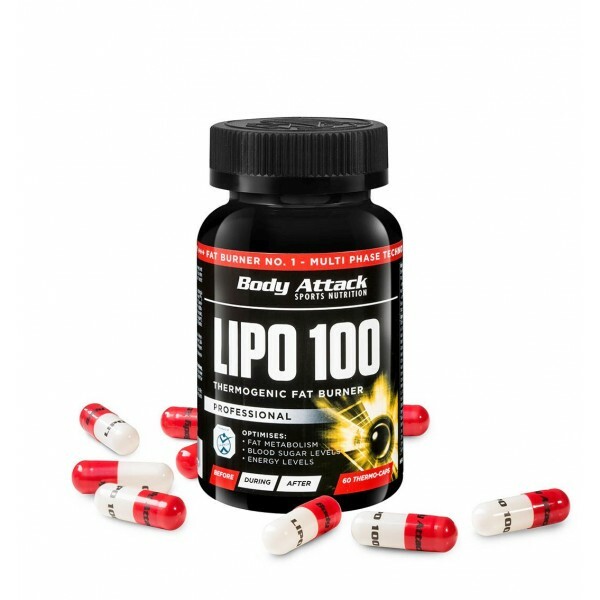 Body Attack Lipo 100 is a product of the "Cologne List"! 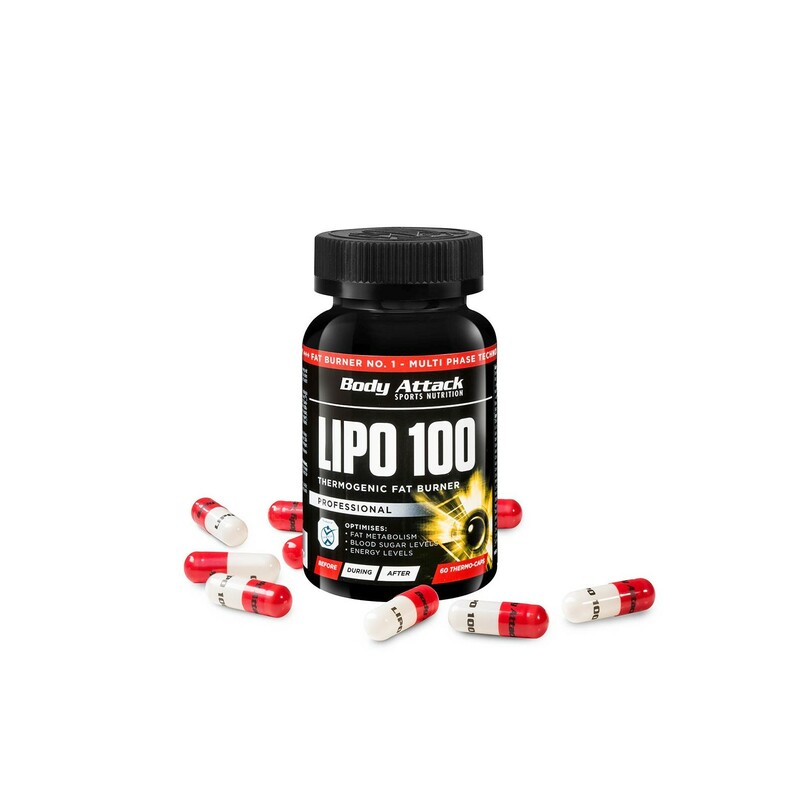 The superb quality of the Body Attack Lipo 100 Thermogenic Fat Burner is proven. This is the reason why it can be found on the "Cologne List", which is very important for competitive athletes. This is where they can find information on effective and doping-free supplements in order to choose only the purest and best quality products available on a huge and oversaturated market.